University of Sunderland students and graduates joined glass artists Matt Durran and Helen Pailing for the Sunderland Glass Heap Challenge, bringing together recycling, art – and Roker Pier & Lighthouse. 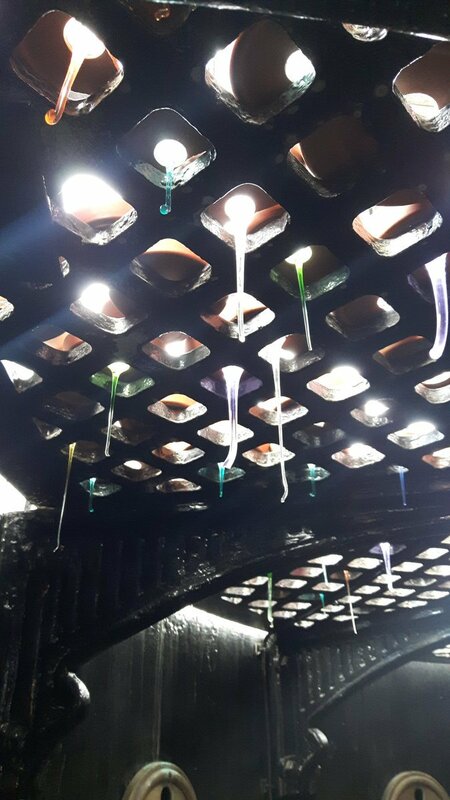 The Glass Heap Challenge was a free event, giving members of the public the chance to watch artists explore the creative potential of salvaged glass and clay from National Glass Centre. Helen Pailing, who is studying for her PhD in Glass and Ceramics, led the project for the University of Sunderland. The idea of the Glass Heap Challenge, as conceived by Matt Durran, is to challenge the creativity of artists, designers and glass protagonists to find and demonstrate unique, creative and inspiring works which show ways to utilize stockpiled waste glass. The Sunderland Glass Heap Challenge was funded by the University of Sunderland Development Trust Silver Fund with support from AHRC CDT and Heritage Lottery Fund (Roker Pier & Lighthouse Project). The event has grown out of the Roker Pier and Lighthouse student project, developed in tandem with the Heritage Lottery Funded Roker Pier and Lighthouse project. Picture credit Helen Pailing. You can see more pictures at Helen's Twitter @HelenPailing.